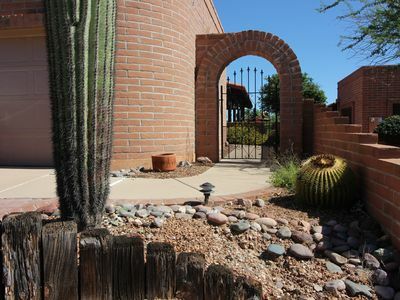 Welcome to our casita 'Mi Casa Es Su Casa'. 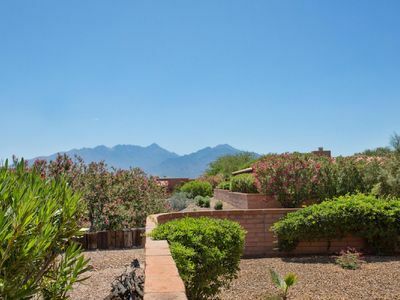 This is the perfect spot for a winter retreat or any time you want to enjoy the beauty of the Sonoran Desert. 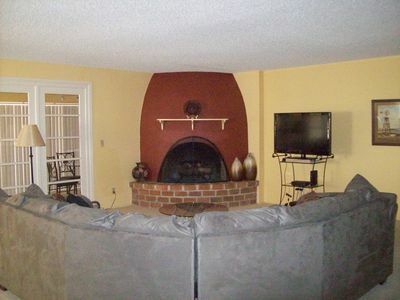 Comfortable and tastefully decorated, it has everything you need. Just bring your toothbrush and golf clubs. MONTHLY RATES AVAILABLE. 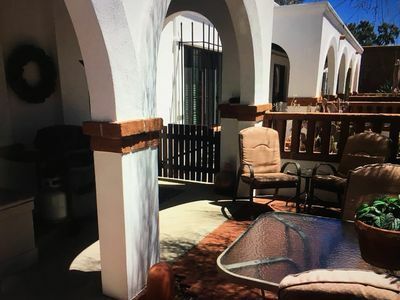 This Green Valley Resort Home is situated around a common patio area that is a great place to enjoy your morning coffee or relax in the evening with a cocktail or a glass of wine. 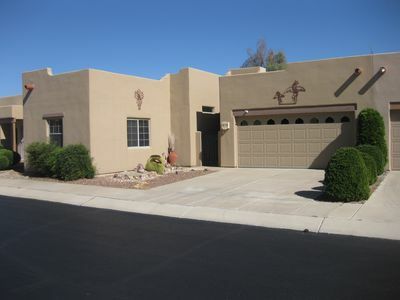 It is only steps away from the pool, spa and tennis courts. 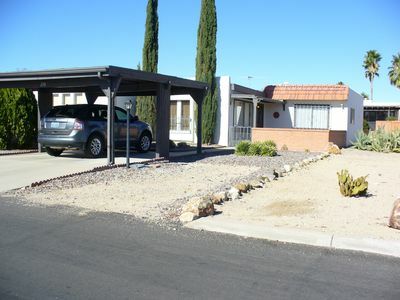 And also within walking distance of the Continental Shopping Plaza. 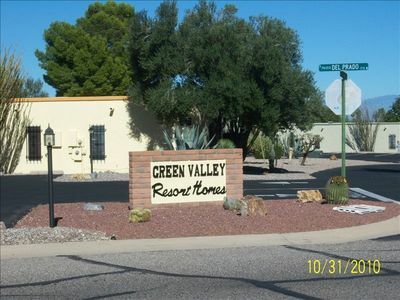 Green Valley Resort Homes is an age restricted community. 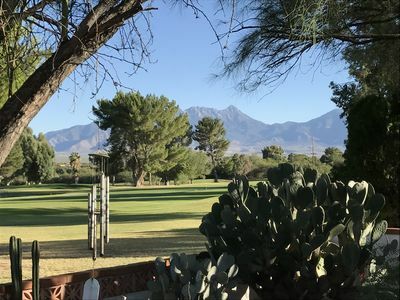 Green Valley has eight golf courses and twelve recreation centers (all with pools) that provide a wide variety of opportunities for fitness, fun, cultural and social activities. 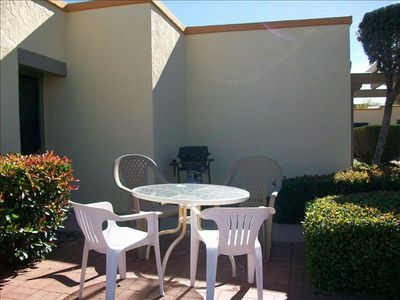 Our smoke-free casita is located off I19 at exit 63 next to the Continental Shopping Plaza. 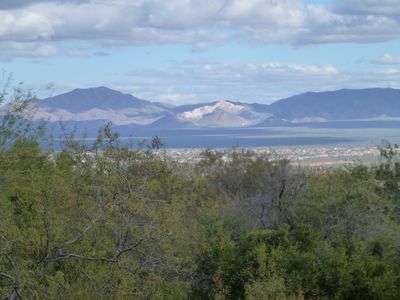 Green Valley is 30 minutes south of downtown Tucson, 25 minutes from the Tucson International Airport and 40 minutes north of Nogales, Mexico. 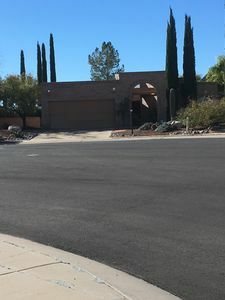 We have another casita across the street. 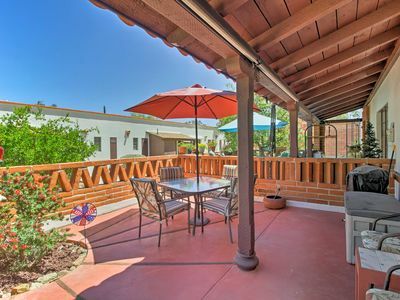 This could be a particularly convenient situation for friends or family traveling together. 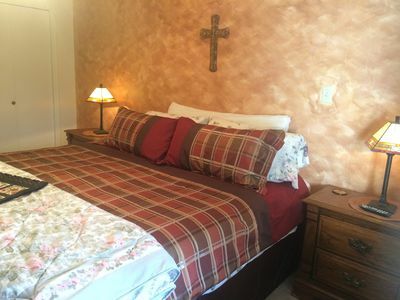 We also offer special discounts for stays of three months or longer and for off season visits. Thank you for your inquiry. We look forward to hearing from you. 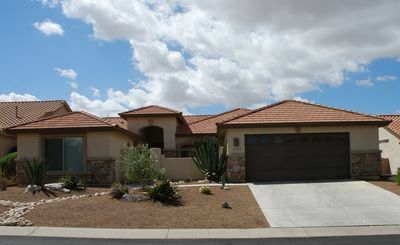 Newly Furnished with Casita in Resort Community! 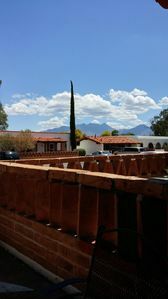 Really private back patio and courtyard with a peek-a-boo mountain peak view! Great for entertaining! SW kitchen cabinets. 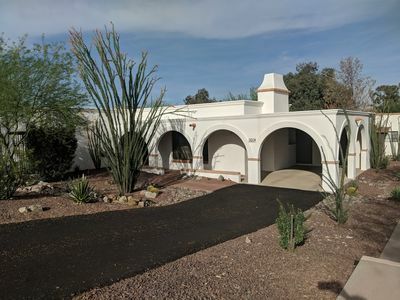 A sweet retreat, either for winter or year around. 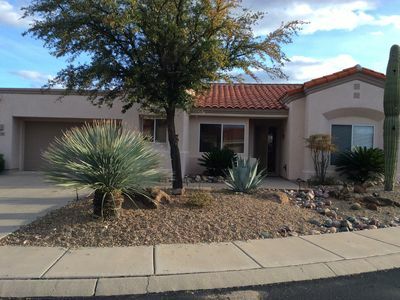 Fully furnished, 2 bed/1 bath villa now available for 2020 in Green Valley, AZ. NEW! 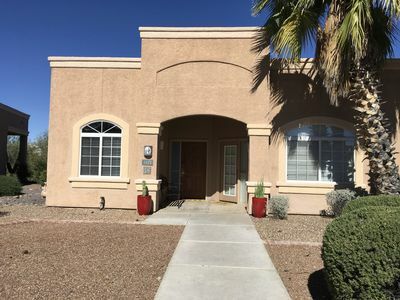 Green Valley Condo w/Pool in 55+ Community! 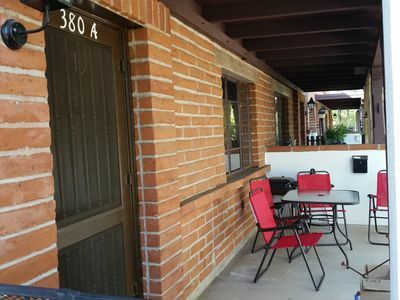 $100 per night Town Home 1bdrm 1 bath sleeps 4 aprox. 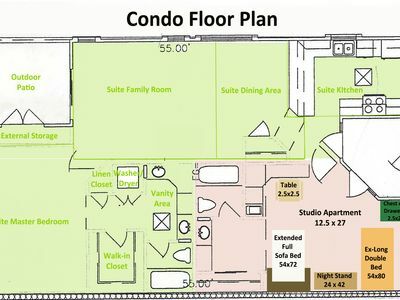 1200 Sq. Ft. 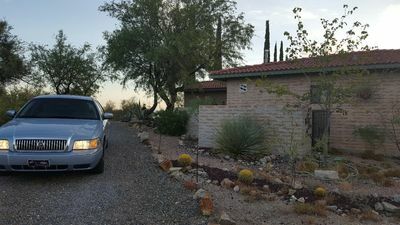 Perfect Green Valley AZ getaway!